The Quality Builders London and Hertfordshire. 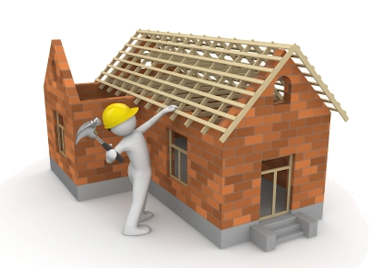 Building Care UK Ltd offers all kinds of kinds of building work in the London and Hertfordshire area. Building care UK Ltd, A fast growing company with the ability to satisfy customer guarantee. Building care being the sole trader name for over 40 years and as it is a family run business our aim has always been to fulfill customer needs. Our speciality is absolutely all your building need from rebuild to decoration including full kitchen fitting, plastering, plumbing, electrical installation, loft conversions, extensions. Do you want to convert you property in two self contained flats, once you have applied for you planning consent or if you wish we could arrange this service for you, you will benefit with a great value to your property and a substantial rental income if you choose to let it out. We do have an assistant company call National estates that can offer you a guaranteed rental. If you want an extension and require a professional company then look no further, we will under go your extension from start to finish under a time scale and with no extra charges. We guarantee to beat any quote. Do you have a property that is rented or do you require a refurbishment in the property that you live in, we will offer you a scheduled price, which will be very competitive. Our plumbing team will renew your bathroom to your taste to a top professional standard, full shower installation, bath installation, wall tiles, and floor tiles. All flooring installed, including Laminate, carpets, solid wood flooring and floor tiles. All decoration undertaken, wall all prepared and emulsion, wallpaper decoration, undercoat and gloss to all woodwork or even satin finish. Our roofing department will replace all you roof tiles, asphalt finish or even replace all you timbers with new. our Plasterers in London, employed directly by us will give you a smooth finish to a top quality standard. All types of kitchen work undertaken. Supply service also available throughout London and Hertfordshire. We use NICEIC registered contractors to complete & certify electrical work on behalf of Building Care UK Limited to ensure the safety of you property. Plumbers in Enfield, barnet, palmers green, west London, east London, north London and all surrounding areas, a 24 hour service 365 day per year, competitive prices and a service second to none. All Boiler installation, Radiators and a full GAS SAFE certificate supplied.